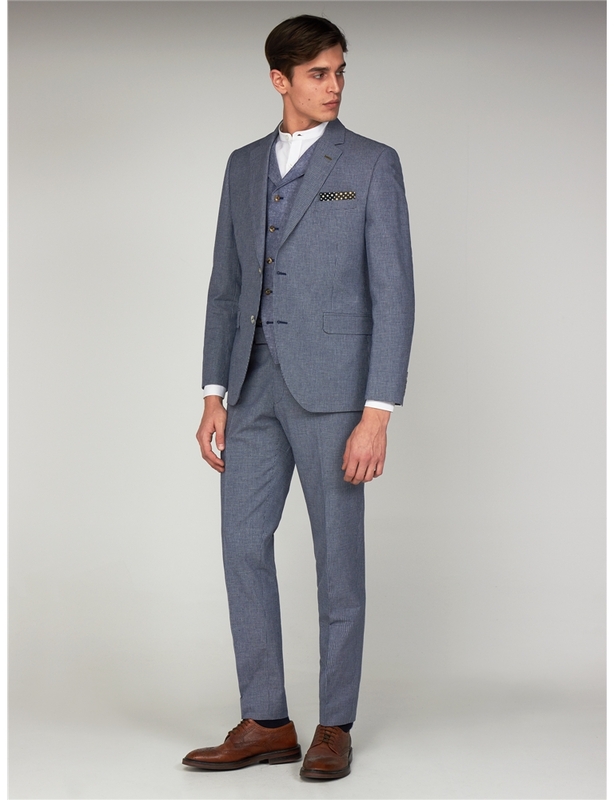 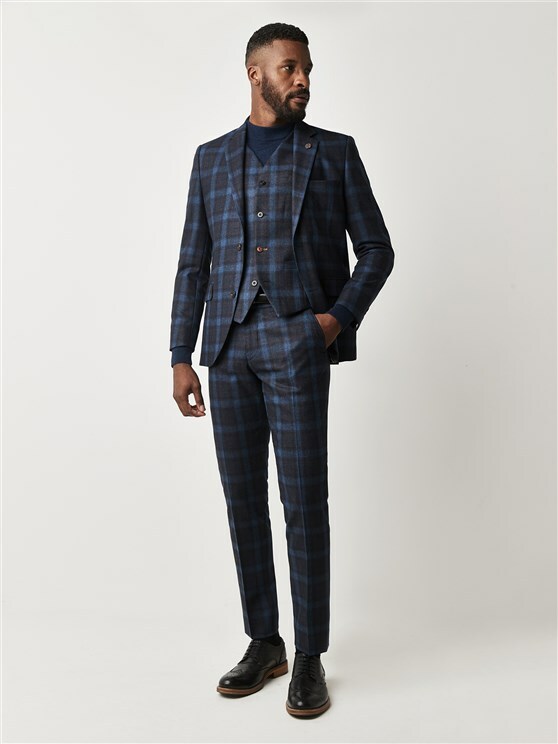 The Brassey is a statement, lightweight summer suit for the authoritative gentleman, with a navy blue micro checked jacket, trousers and waistcoat. 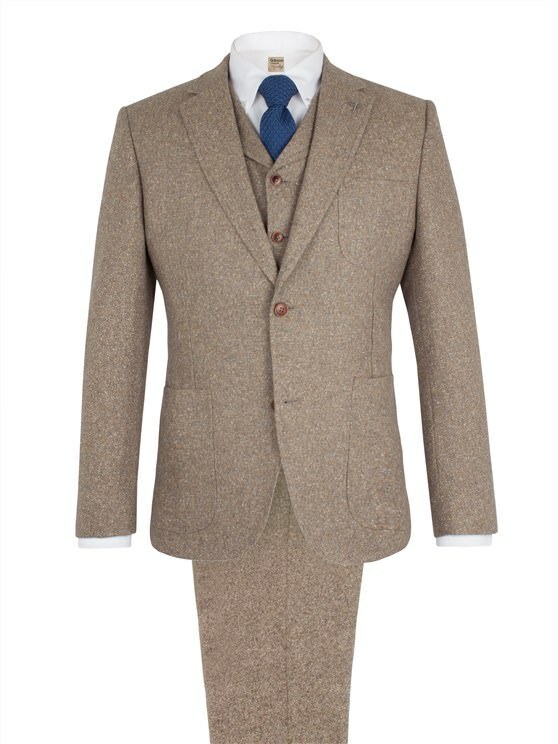 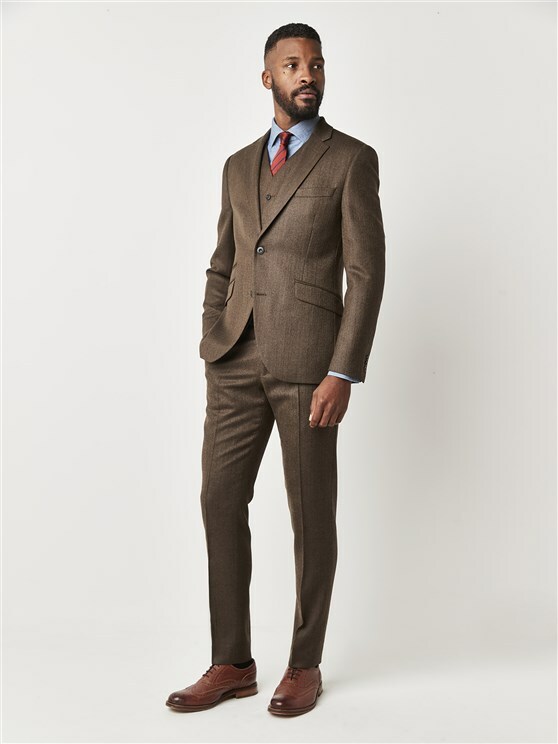 Completed with contrast welt pockets and elbow patches, this men's three piece linen suit is designed to be the perfect summer accompaniment to the professional man's wardrobe. 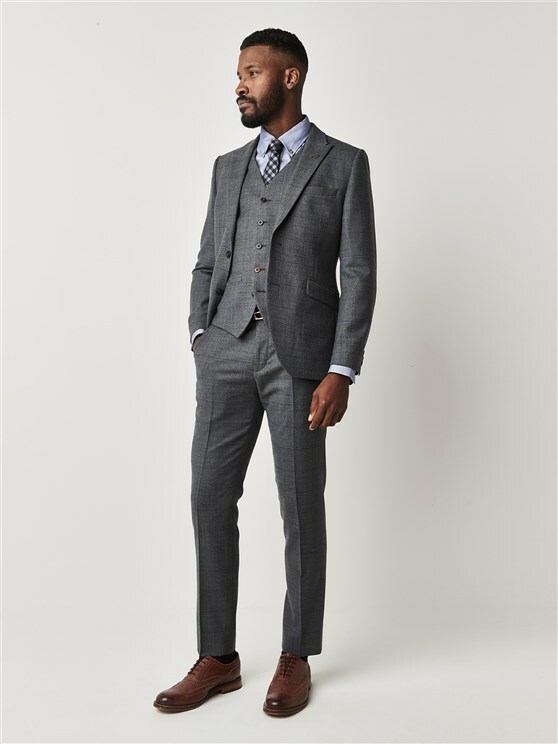 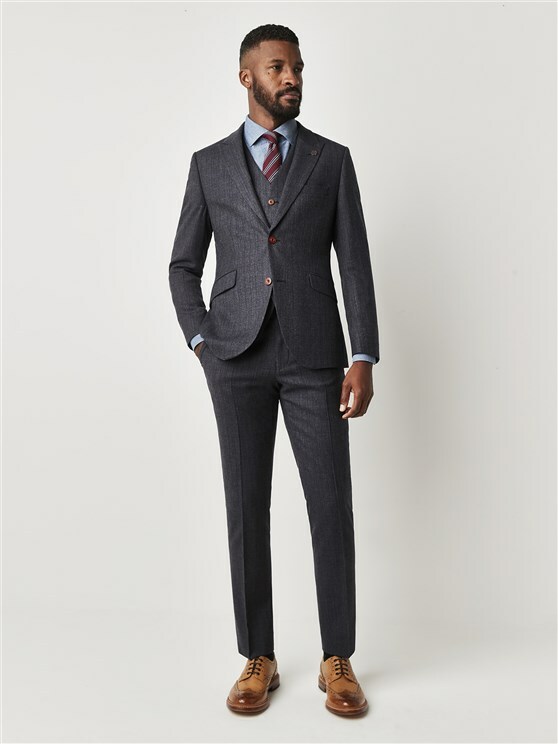 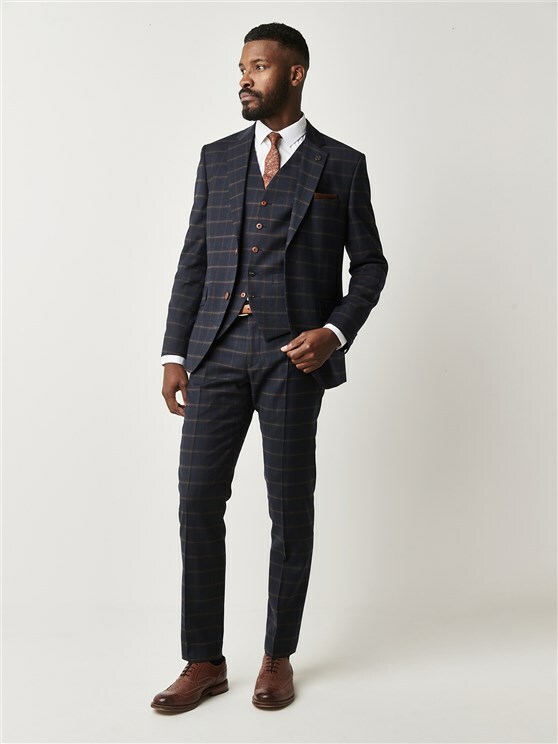 With notch lapels, the distinctive Gibson tailored fit, a two button fastening and plenty of pocket space, this men's checked suit jacket, waistcoat and trousers is sure to turn heads. 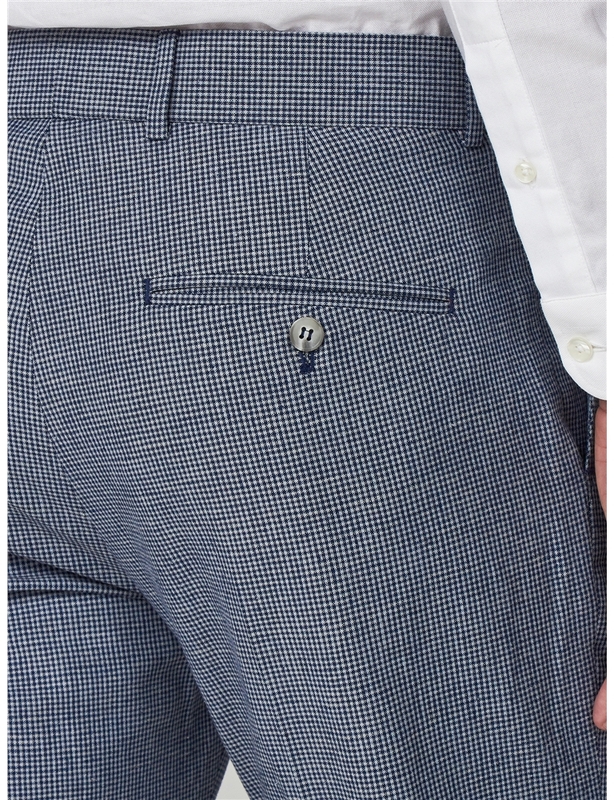 Our new line for Spring & Summer 2019 is inspired by new beginnings and vibrant styles. 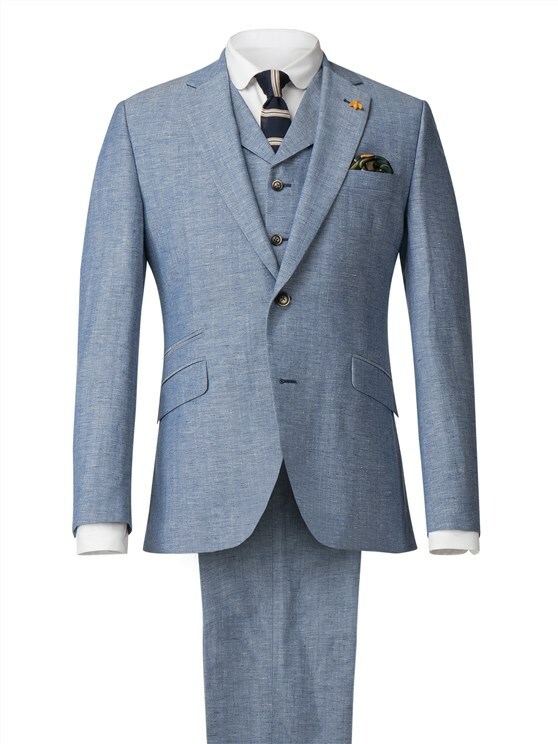 Contrast patches, durable fabrics and vibrant colour schemes create an impressive range of styles for the true gentleman seeking a unique profile. 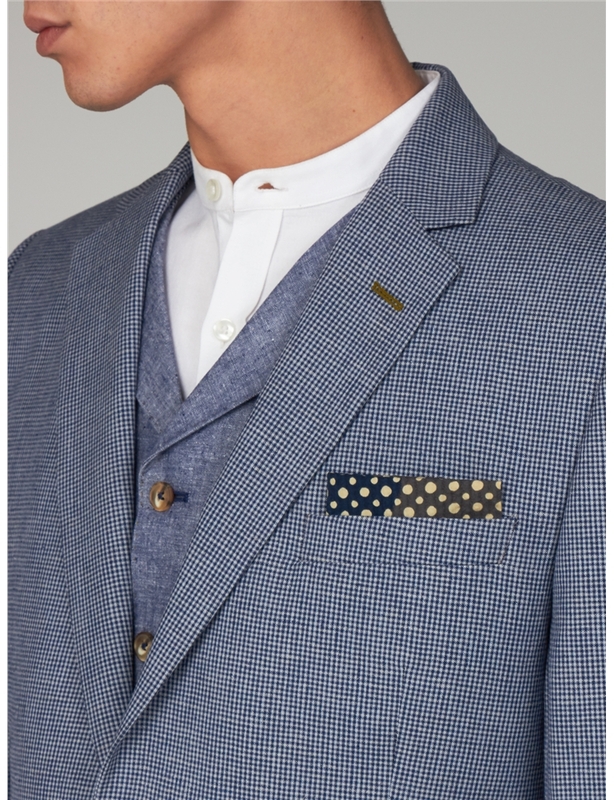 With signature, bold patterns, bright satin linings and a trademark dragonfly lapel pin, the Gibson London SS19 collection is designed to raise a smile – and the spirt – for 2019. 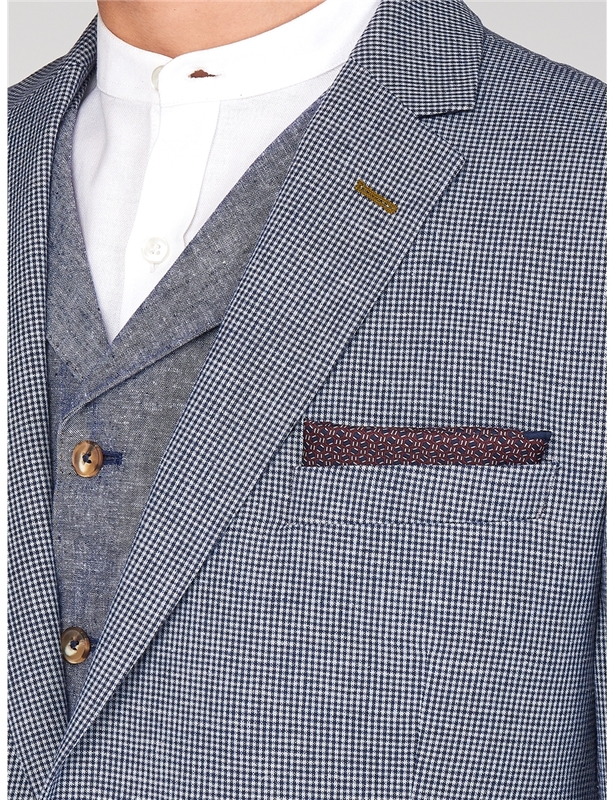 High fastening waistcoat. 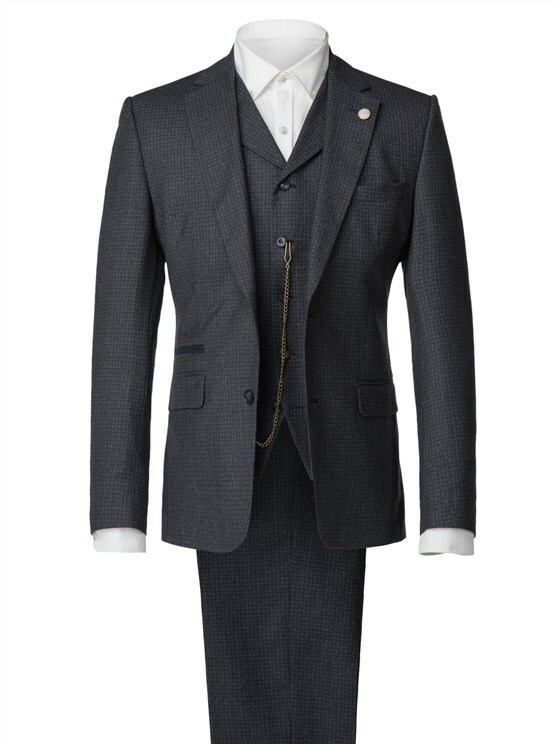 Can be worn under all of the Gibson Jackets. 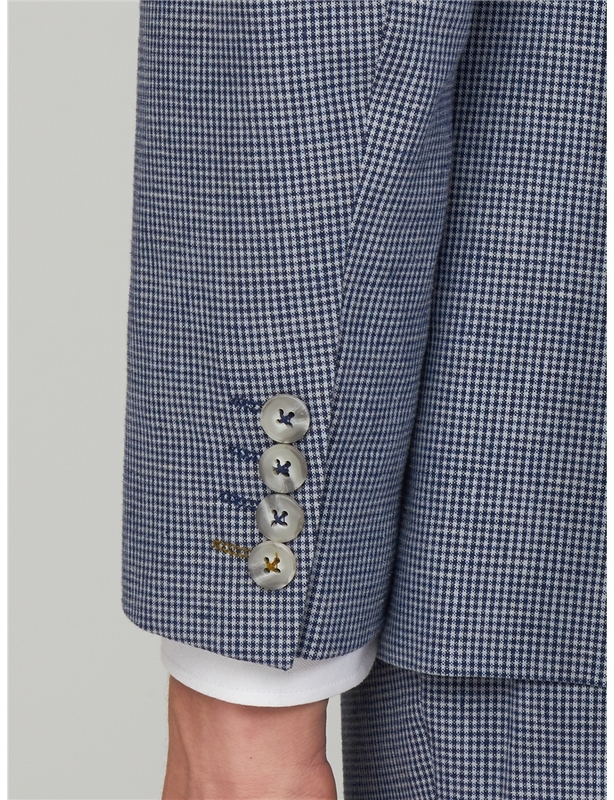 Especially under the 3 Button Jackets, or stand alone piece. 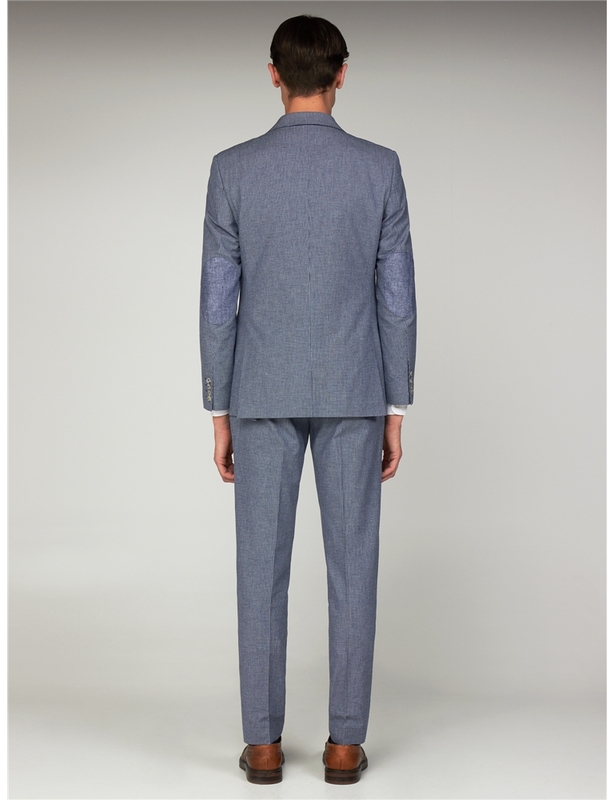 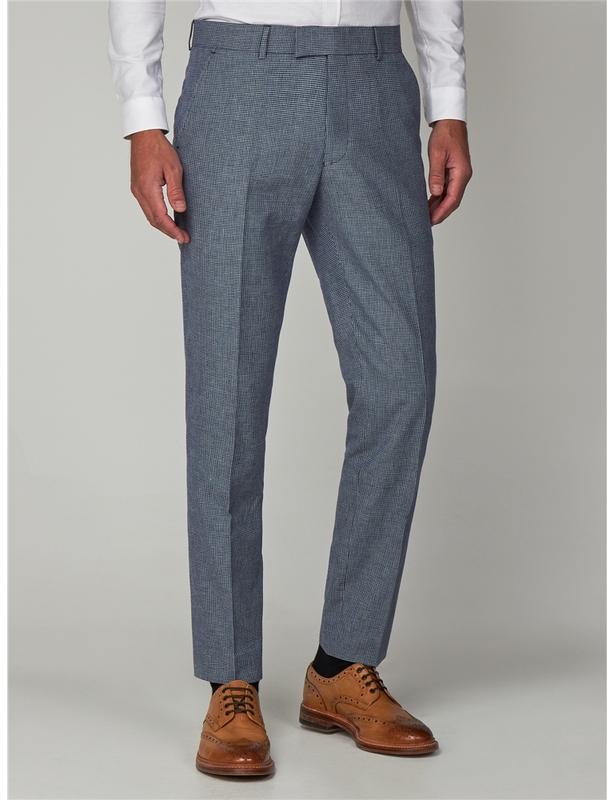 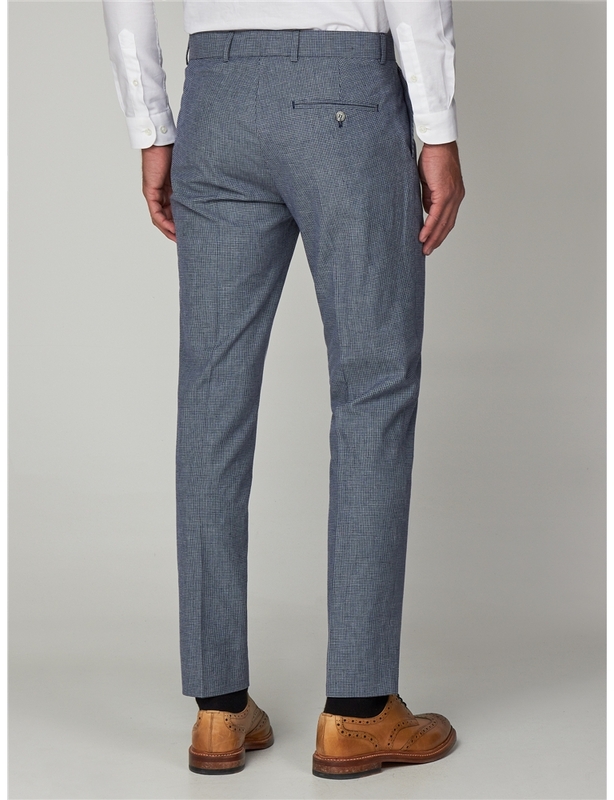 Trousers feature a mid waist, are slim through the thigh with tapered legs and a narrow hem opening.